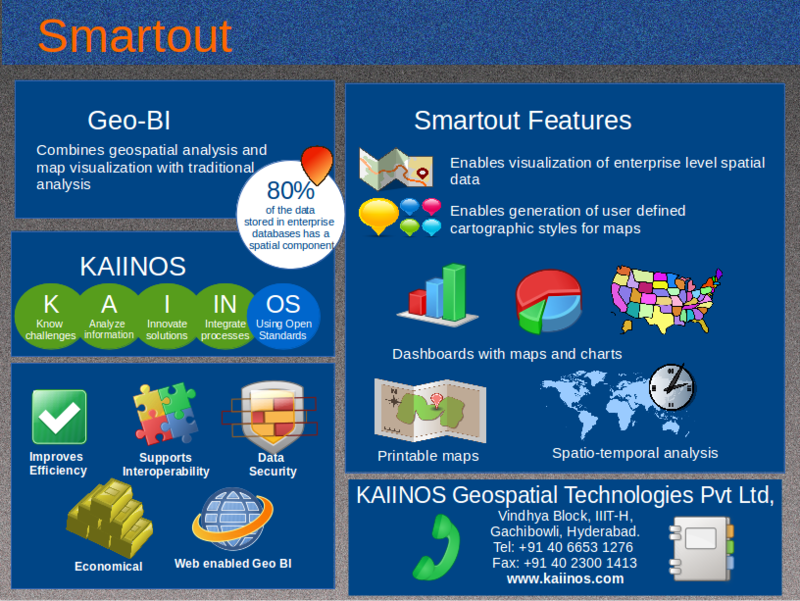 Smartout is a Geo BI platform which enables users to map, visualize, analyze location data. It enables users to generated reports from the extracted information. This platform is inherently designed to store coordinates of locations and not just their names and thus enabling spatial analysis. This platform is built as per OGC Standards and thus supports the map and related information rendering through the standard web services such as WMS,WFS,WCS and WPS. Though the current version has support to traditional web services, the platforms modular design makes it compatible to the implementation of REST web service based map rendering as well.